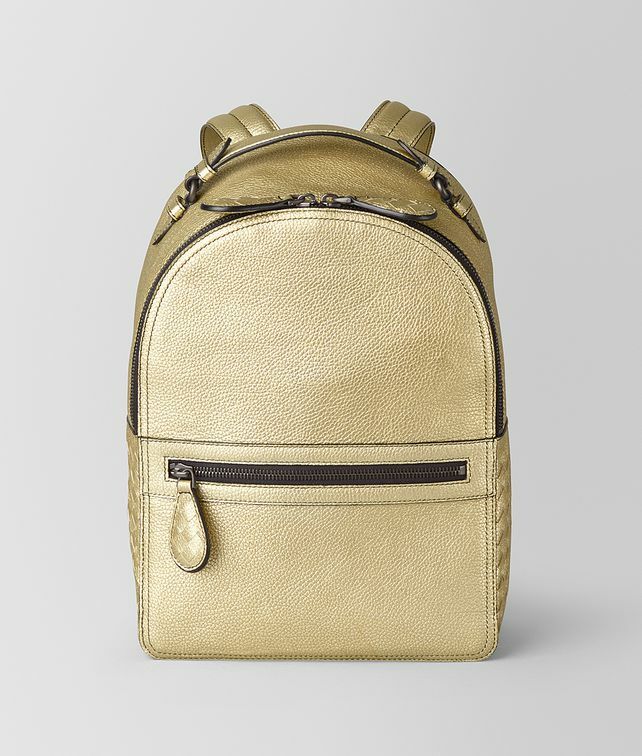 The new Electre Backpack is designed with an eye for both elegance and utility. The clean, rounded design is crafted from smooth calf leather, specially treated to create a metallic hue and grainy texture, and accented with a bottom panel of woven leather. The style features oversized woven zipper pulls and a top-handle that recalls the iconic Olimpia bag. The wide nappa straps can be adjusted with metal sliders, and feature intrecciato detailing. The exterior features a zippered front pocket; the interior is fitted with a zipped pocket and padded compartment for high-tech devices.